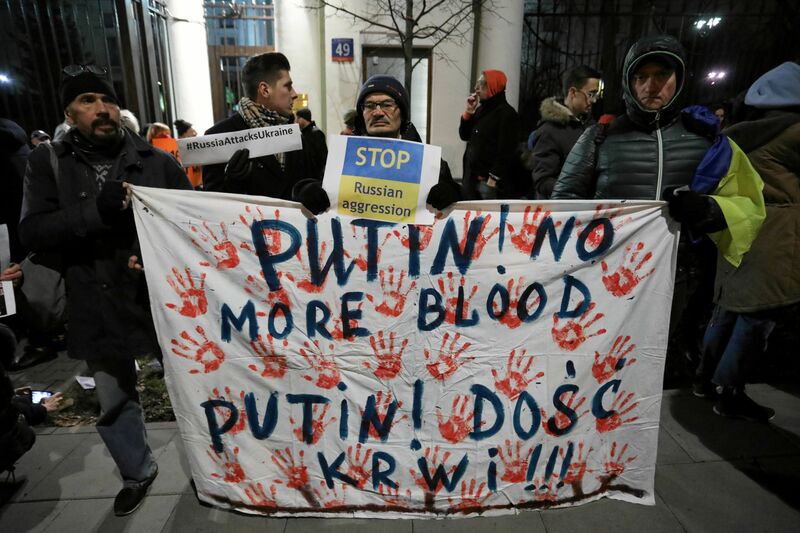 Protesters gather in front of the Russian embassy after Russia seized three Ukrainian naval ships and detained the crew at the weekend, in Warsaw, Poland November 26, 2018. The simmering conflict in the Kerch Strait and the Sea of Azov reached a new level when Russian forces fired on Ukrainian vessels, injuring at least 3 sailors and seizing 20 more. Russia’s forceful action against Ukraine’s relatively small, modestly equipped navy demonstrates once again Moscow’s unwillingness to solve problems in a smart way. Instead, Russia purposely chooses tactics of aggression and intimidation. Moscow is not only testing the reactions of Ukrainian leaders, but of the West too. Kyiv’s imposition of martial law in response to this kind of aggression was rather predictable. Since the summer, the Russian media has been reporting that president Poroshenko was preparing a “serious provocation” near the Russian border (Crimea is, of course, understood to be “genuine Russian territory”), after which he would introduce martial law and use it to postpone the presidential election scheduled for March 2019. This would be the only way for him to stay in power. His personal popularity is extremely low, and even the use of “administrative resources” cannot help him maintain power any longer. In the next few weeks, we will see Moscow´s determination to intensify conflicts between Ukraine’s various political forces. At the international level, the Kremlin is testing the values of Western democracies and our will and readiness to protect them, as well as the extent to which the idea of “partnership” has any real meaning. 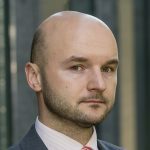 The events in Ukraine are not just a domestic issue of ‘Russki Mir’, but a wider European affair that will directly affect our immediate future. Merely “condemning the use of force by the Russian authorities” or encouraging Russia to “refrain from further provocations” sounds like business as usual to Kremlin ears (as, in fact, it is) and will encourage Moscow to take further steps rather than back down. Meanwhile, introducing visa sanctions for Russian generals, who are in any case forbidden by their own authorities to leave the country, is rather pointless. Unless sanctions are applied that affect oil and gas production and their exports, genuine results in moderating Russia’s behaviour should not be expected. The strategic importance of the city of Mariupol became evident in the course of the war in the regions of Donetsk and Luhansk. Without a doubt, the inability of the Russian forces and their proxies to conquer Mariupol completely was one of the major factors preventing further escalation of the war in the Donbass region and beyond, in eastern and southern Ukraine. Nevertheless, its location on the frontline makes Mariupol vulnerable not just militarily, but also socio-economically and demographically. Not all the pieces of this complex mosaic are easily visible. Dependence on the oligarchic model of mono-industrial business shapes not just the way of living, but also the way of thinking of many citizens. Even in Mariupol, the public considers economic challenges to be more important than the war. 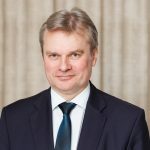 Blocking the harbours of Mariupol and Berdyansk will definitely harm several sectors of Ukraine’s economy, including steel and agricultural exports. As of 25 November, there were at least 34 merchant ships (10 of which were operating under the flag of an EU member state) heading to, coming from, or docked at the international harbours of Mariupol and Berdyansk. In public perception, Mariupol is a strongly pro-Ukrainian city, but this might be just a superficial impression created by the presence of a substantial contingent of the Ukrainian Armed Forces, and by the visibility of those active citizens who do really care about the nation’s and city’s future. However, there is still a large portion of the population who have either openly or covertly welcomed the arrival of pro-Russian troops or helped to distribute pro-Kremlin propaganda. Even so, during the fear, stress and tensions of the last days, citizens in Mariupol evidently felt that the local authorities had kept them ill-informed of the latest developments. The polarised political mentality of Mariupol’s inhabitants does not bode well for this logistically semi-isolated city. Russia knows this very well and thus sees Mariupol also as a symbolically important target. The provocation on the Sea of Azov may have taken place on the water, but its substance is land, economy and the minds of people, both in Ukraine and in the West.